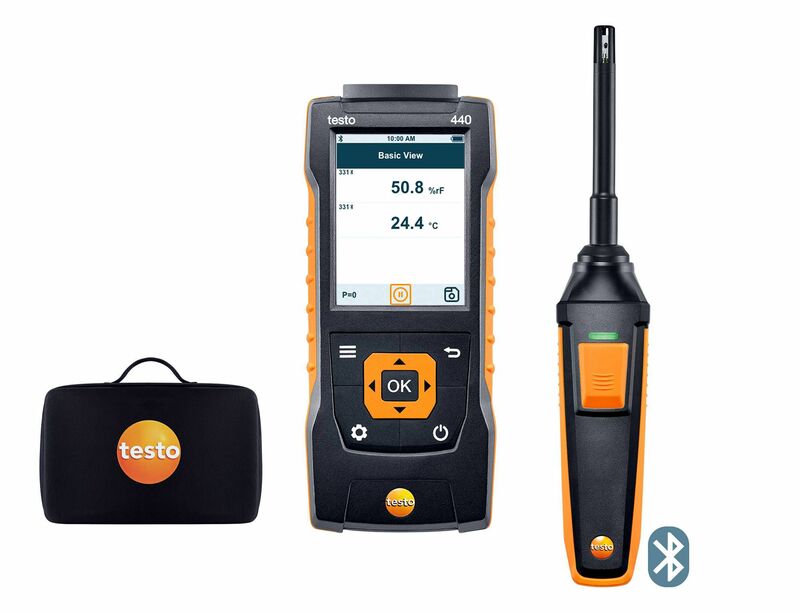 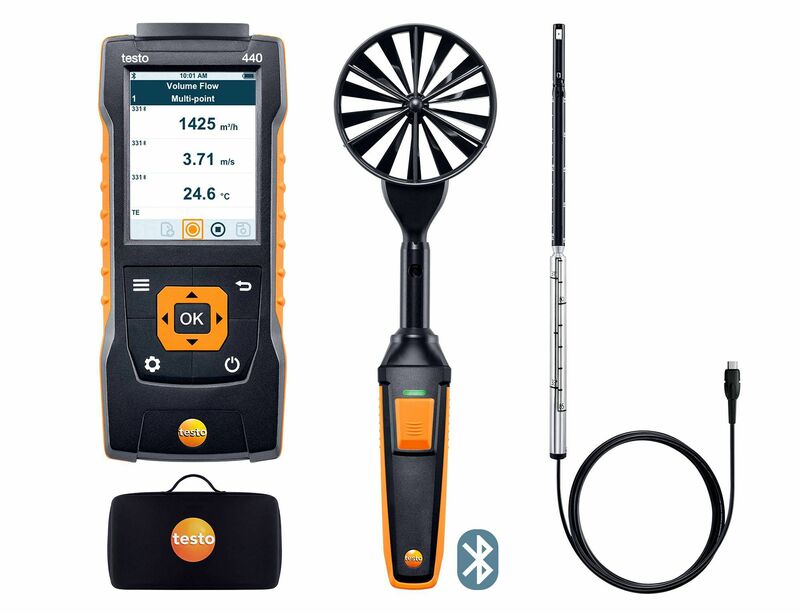 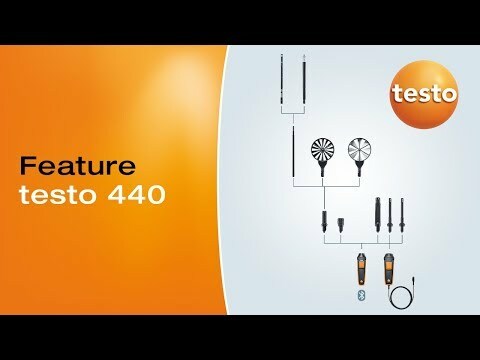 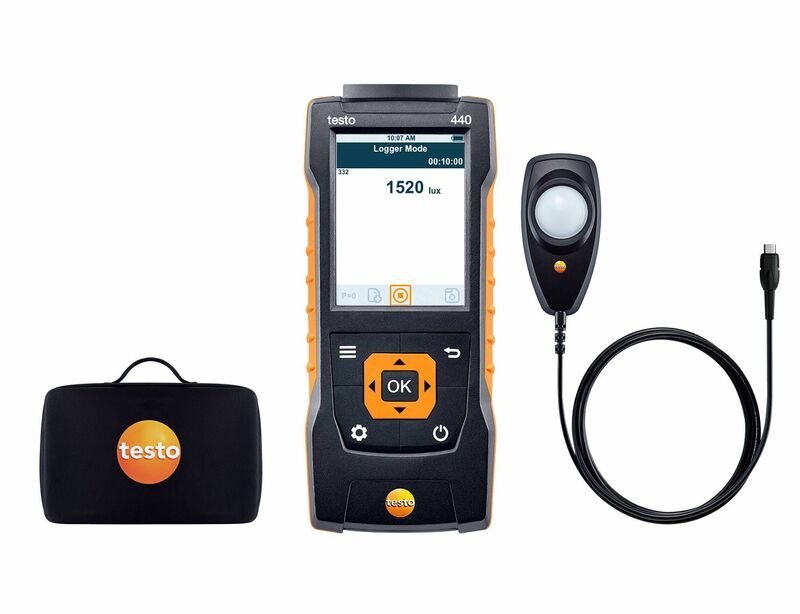 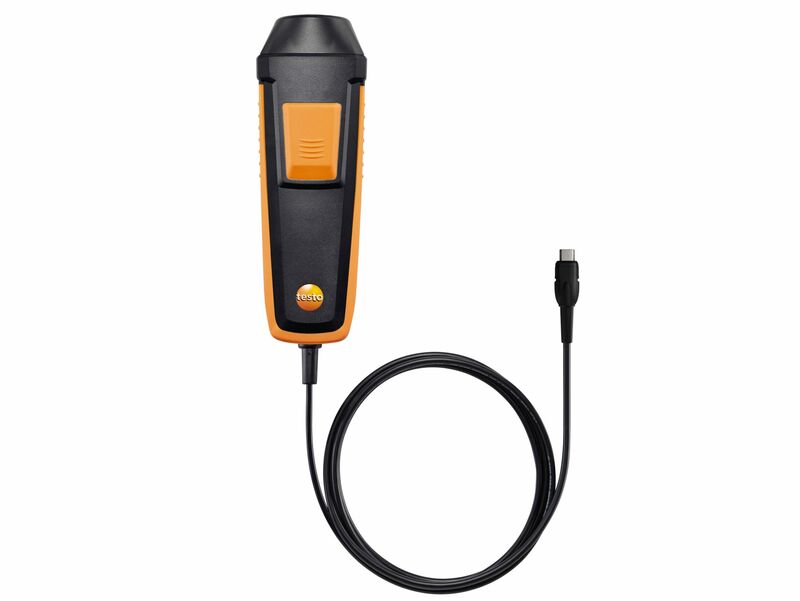 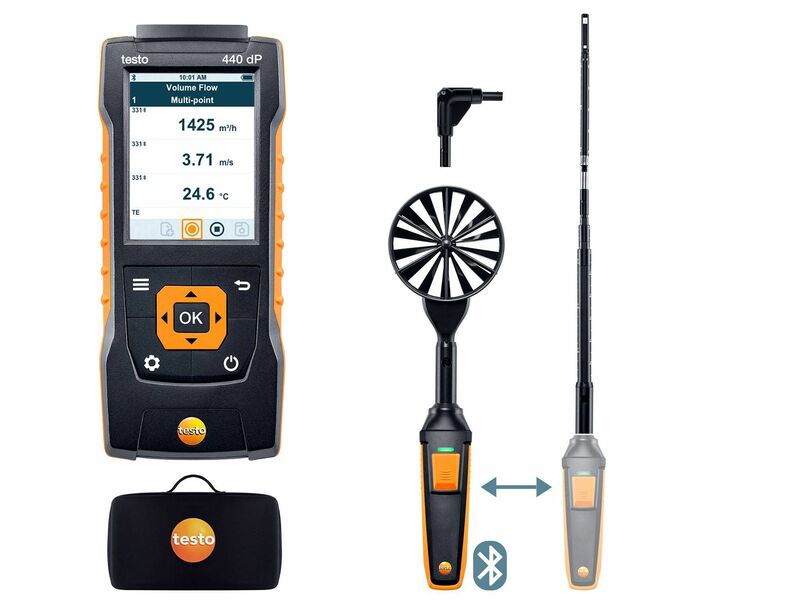 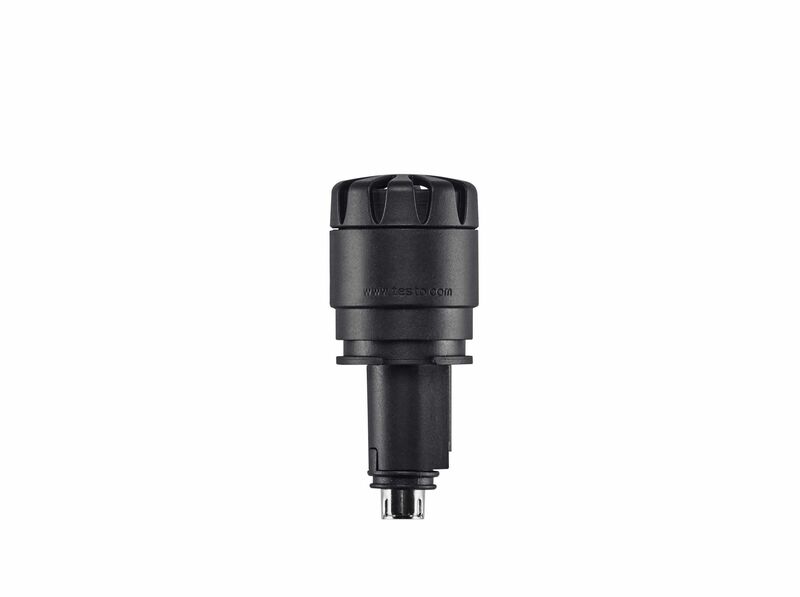 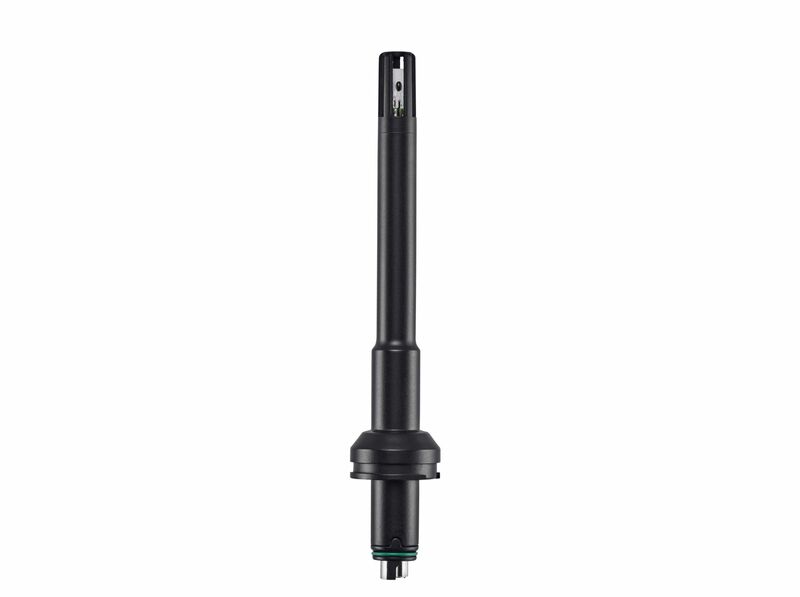 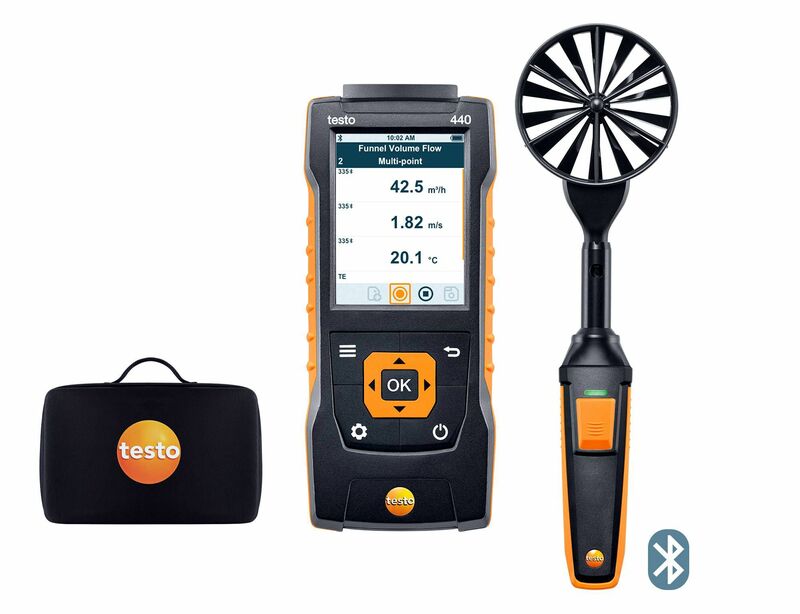 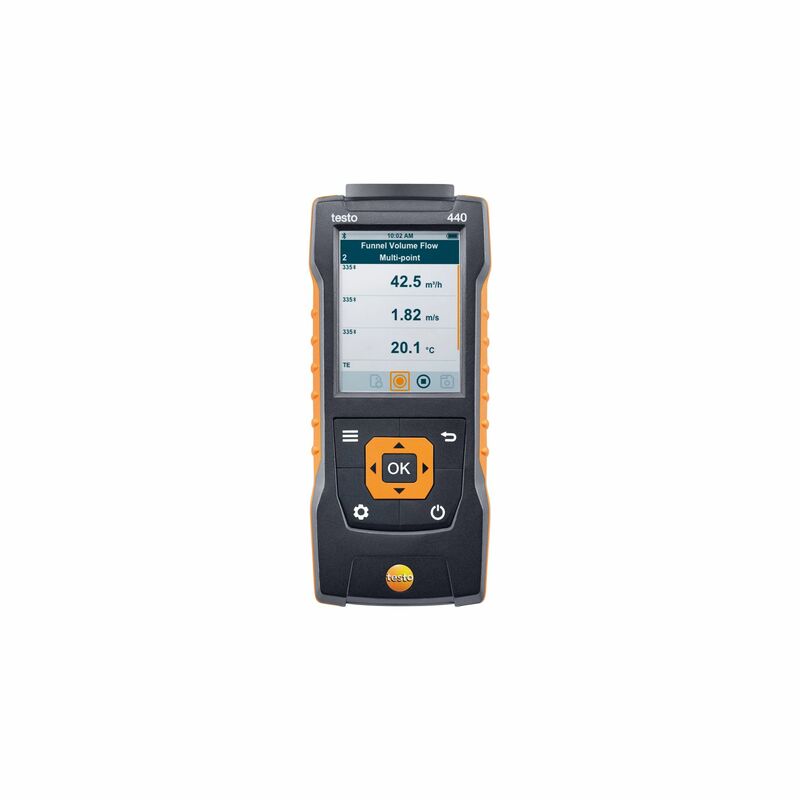 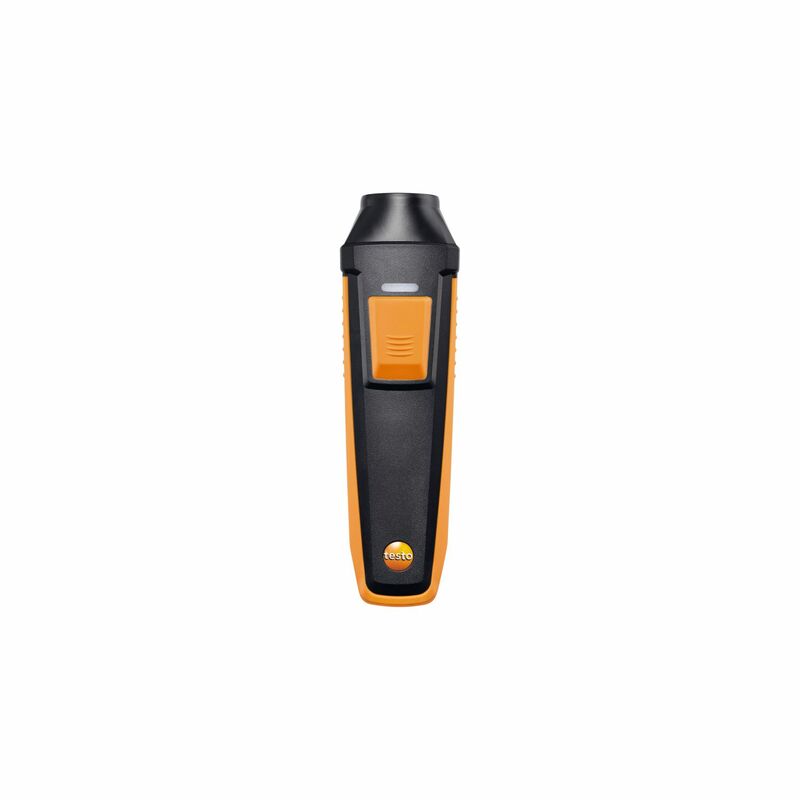 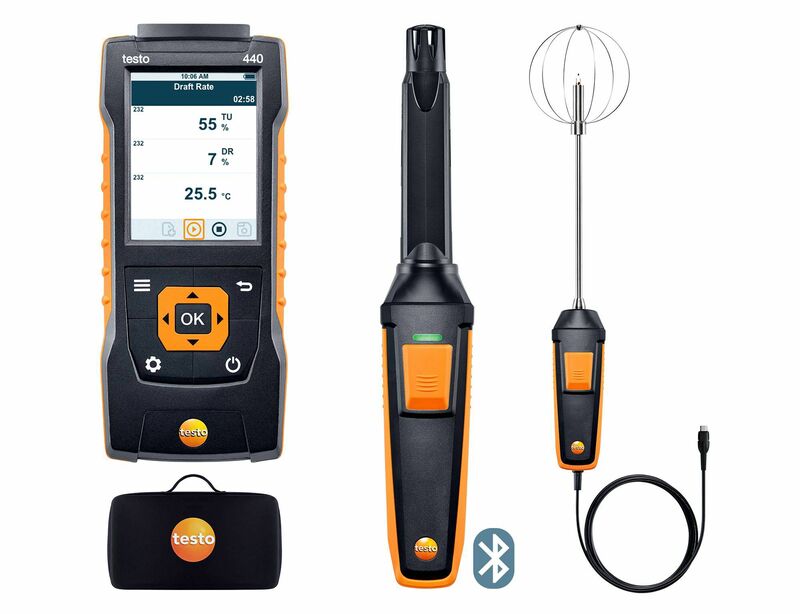 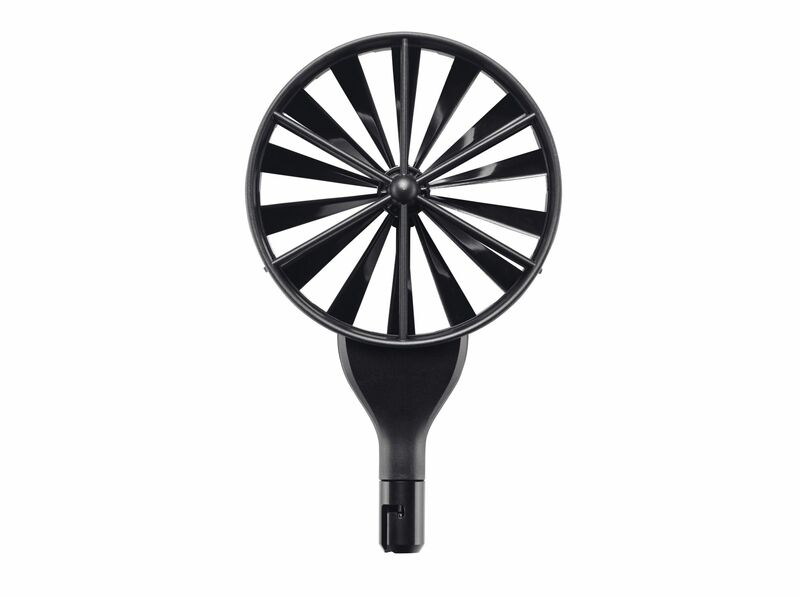 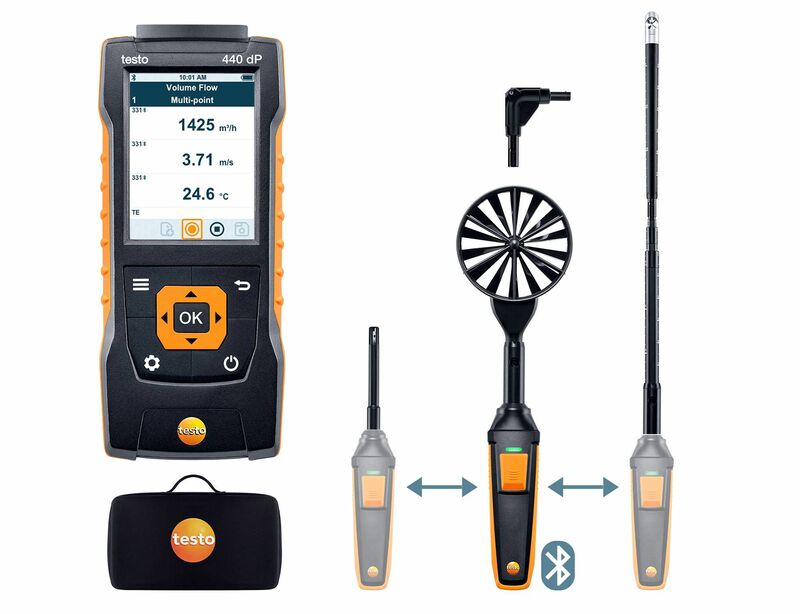 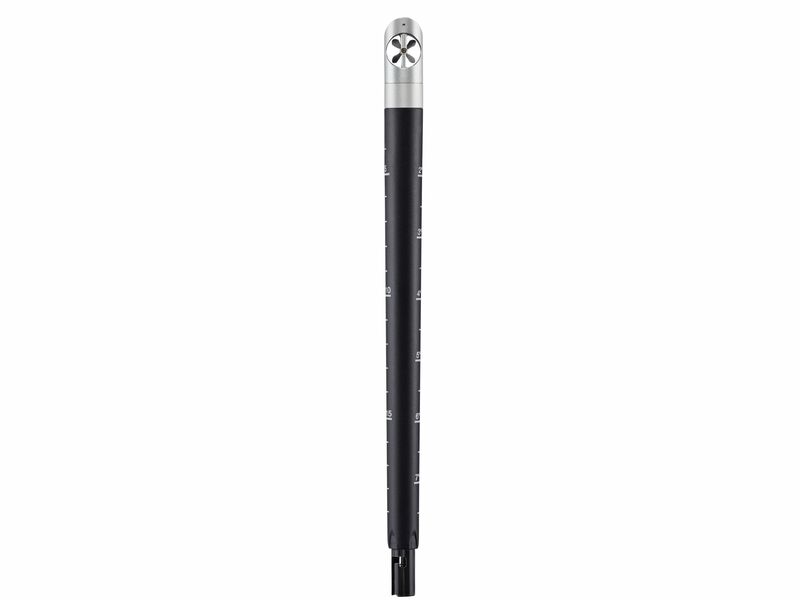 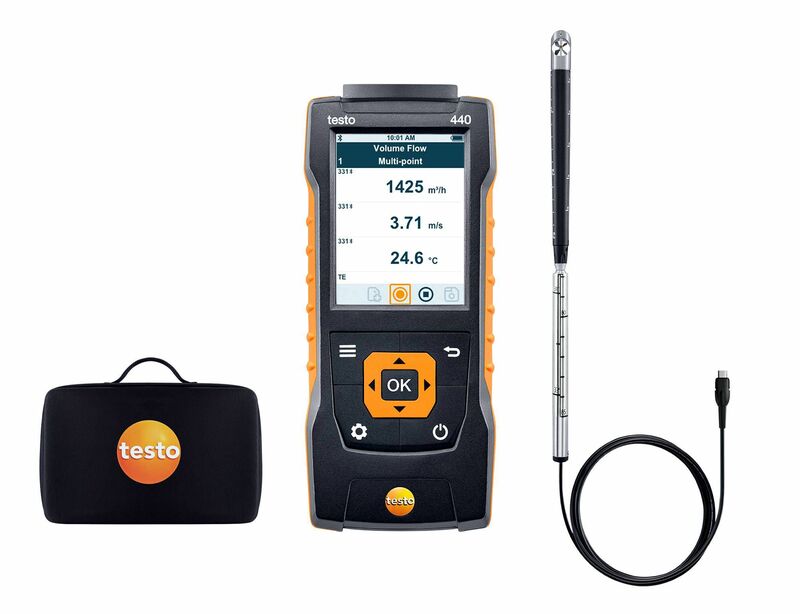 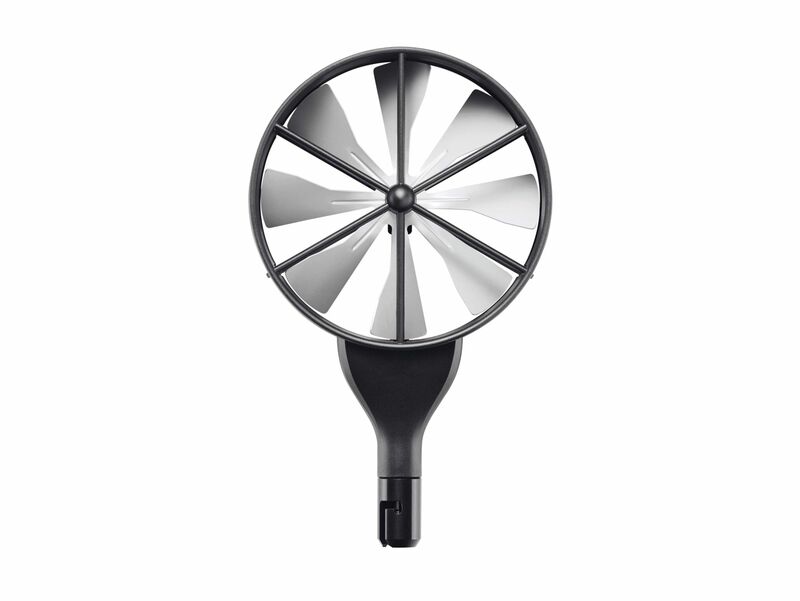 The readings of the CO2 probe are transmitted to your measuring instrument via Bluetooth, up to a distance of 20 m.
Or order the cable handle to connect testo probe heads. 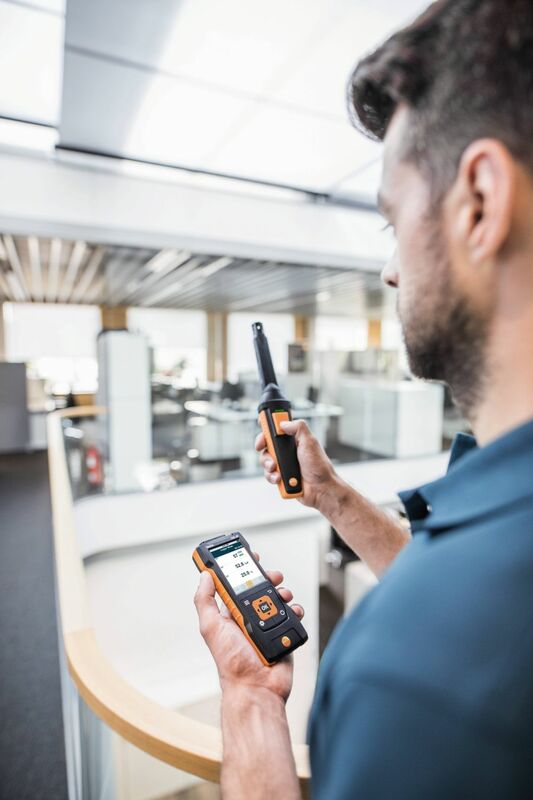 This is an advantage if Bluetooth signals are not permitted. 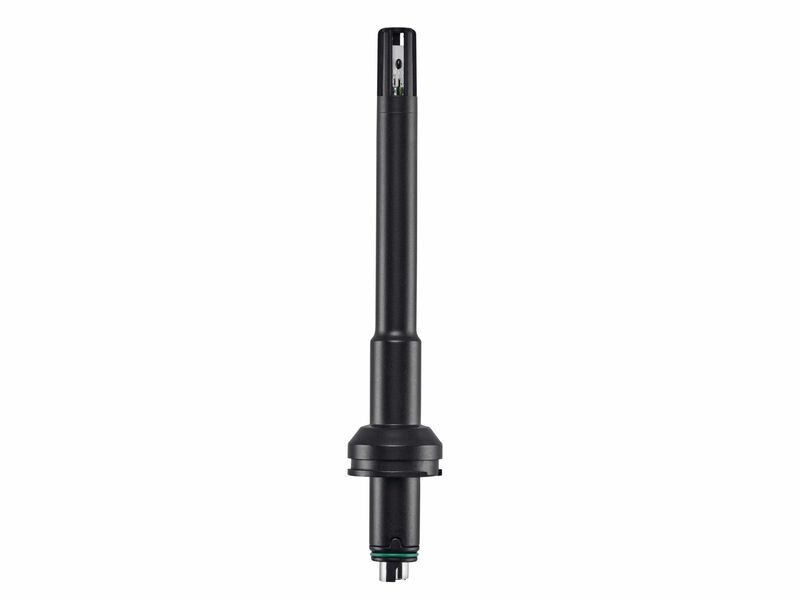 If the sensors (CO2, humidity, temperature) need to be replaced in the distant future, you can change the probe head. 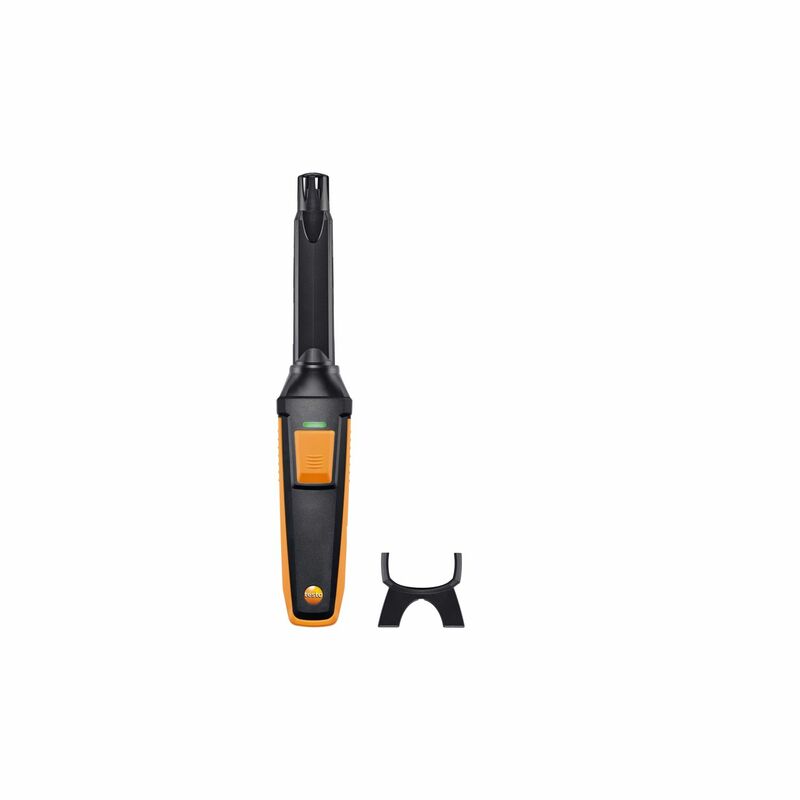 CO2 probe with Bluetooth including temperature and humidity sensor (consisting of CO2 probe head and Bluetooth handle); 4 x AA batteries, table stand and calibration protocol.